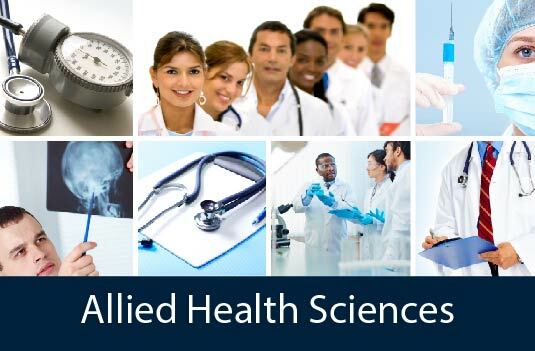 An undergraduate degree in Allied Health Sciences prepares you for immediate employment in a variety of health fields including case management/patient care coordination, health education, medical billing and account management, health marketing and sales, laboratory research, health insurance administration. Your degree will also prepare you for admission to graduate and/or professional schools and programs that require a bachelor's degree (e.g. medical school, dental school, physician assistant, physical therapy, public health, health promotion sciences, etc.). You'll choose a standard plan (most flexible) or one of four concentration areas and tailor your plan of study to your specific goals and professional interests. Your assigned academic advisor will work with you to develop a plan of study that includes university general education requirements and coursework covering a broad range of health and healthcare topics that also fulfill graduate health program admission requirements. Specific requirements will vary based on your intended concentration and career path. Courses are available in a broad range of disciplines including biostatistics, human physiology, immunology, environmental health, ergonomics, public health, health management and administration, healthcare systems, counseling and teaching, research methods, human genetics, nutrition, law and ethics, and more. All AHS major plans require a minimum of 36 credits of courses ("major requirements") at the 2000-level or above completed with a grade of "C" or better. Need some career ideas? Check out our Allied Health Careers page! Can I do an internship, research experience, independent study, or study abroad as an AHS major? Yes! Though not required, we strongly encourage all Allied Health Sciences majors to engage in internships, research experiences, education abroad, and other extracurricular activities related to their intended career path. Some graduate programs require these experiences as part of their admissions process. Learn more about how these opportunities are handled in the Department at our Extracurricular Experiences page. Can I do an additional degree or double major in Allied Health Sciences? Yes! You may declare an Allied Health Sciences major as either an additional degree or a double major. You'll begin this process in your home School or College, so please visit the appropriate site to obtain necessary forms. You'll be evaluated through the same admissions process as first degree applicants, and admission is not guaranteed. This means you must apply by the 10th day of classes each semester. Also, please keep in mind that you may be required to extend your program by additional semesters to meet all graduation requirements. Graduating "on time" is not guaranteed and should not be expected. Can I minor in Allied Health Sciences? No. Currently there are no minors available in the Department of Allied Health Sciences. This plan is designed for students who seek a broad training in Allied Health Sciences in preparation for general health careers or graduate and professional programs. The plan is purposefully flexible so that you can tailor your plan of study to meet your career goals. Coursework includes a range of healthcare topics from social/behavioral to human sciences. 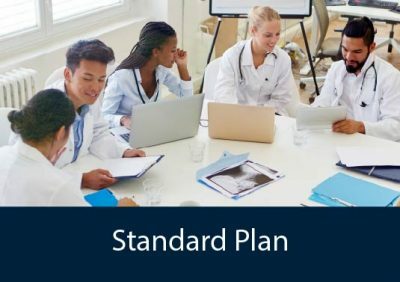 Students who choose the Standard Plan will be well positioned to apply to a range of post-baccalaureate, credentialing and/or certificate programs including (but not limited to): Physician Assistant, Physical Therapy, Occupational Therapy, Accelerated Bachelors of Nursing (leading to Advanced Nurse Practitioner programs), Orthotics and Prosthetics. Students with an interest in health specialties that involve laboratory or diagnostic procedures or who are looking to pursue allied health fields that require a strong health science and pathology background should consider this concentration. Coursework focuses on the health sciences including immunology, genetics, human anatomy and physiology, infectious diseases, etc. and is designed to prepare you for employment in research positions and/or to seek admission to post-baccalaureate programs including (but not limited to) Medical, Dental, or Optometry school; Pathology Assistant; Pharmacy; Master's in Public Health or Epidemiology; or post-baccalaureate certificate programs like those the Department offers in Diagnostic Genetic Sciences or Medical Laboratory Sciences. 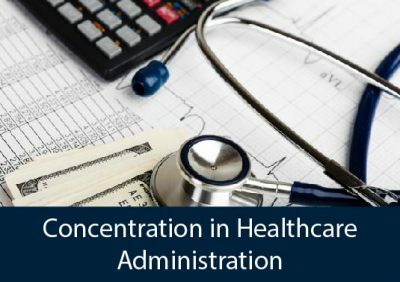 This may be the concentration for you if you're considering an administrative or managerial career in settings like hospitals, clinics, government planning and regulatory agencies, health maintenance organizations, hospital associations, consulting firms, computer vendors, health insurance companies, hospital equipment and supplies manufacturers, etc. Coursework includes healthcare and insurance systems, healthcare management and industry analysis, current issues in health, health and safety in the workplace, worker's compensation laws, and other related topics that prepare you for entry-level positions in management, marketing, and sales. The HADM concentration is also designed for students seeking admission into graduate programs such as the Department's Master's in Health Promotion Sciences or for those looking to enroll in other graduate programs including public health, health administration, health insurance studies, corporate health, health policy and law, etc. 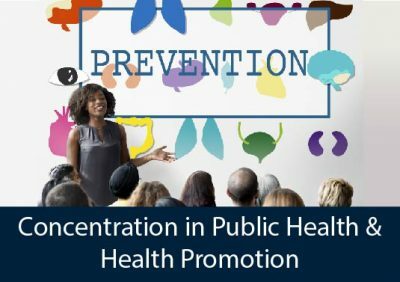 If you're interested in working in social service agencies, worksite health promotion programs, government health agencies, hospital wellness programs, or business/industry/educational settings that emphasize health and health promotion to minimize the risk and impacts of disease, you may wish to consider this concentration. Coursework includes public health disciplines, counseling and teaching, biostatistics, environmental health impacts, community nutrition, poverty and health, and other related topics. 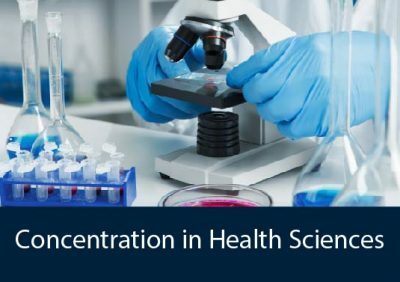 This concentration is designed to prepare you for entry-level positions in public health, health education, and counseling fields as well as for admission to graduate programs including the Department's Master's in Health Promotion Sciences, Master's in Public Health, gerontology, health education, health psychology, healthcare administration, or healthcare policy. 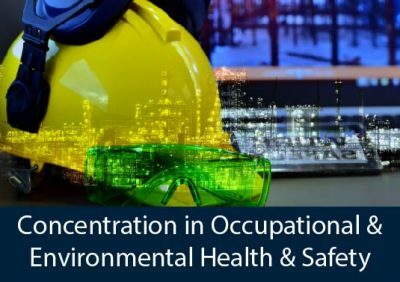 Students interested in occupational and environmental health and safety issues or applying marketable skills in a broad range of work environments such as manufacturing, construction, healthcare, public health, research and development, and academia among many others, should consider this concentration. Coursework includes ergonomics, workplace safety, HAZWOPER, environmental health, psychology for workplace safety, and related topics that prepare OEHS specialists to identify workplace hazards and develop strategies to reduce or prevent accidents, injuries, and illness. They promote health and safety within organizations by developing and implementing safer and healthier workplace policies and practices. The concentration provides a foundation for professional certification in individual disciplines such as occupational safety, industrial hygiene and ergonomics. days to apply to be an Allied Health Sciences major!